Home / Automotive / Cars / Check Out Some Of The Best Car Ads Ever! WHAT ARE THE BEST CAR COMMERCIALS OF ALL TIMES? We have collected a number of ads that we think are the most captivating. Some were broadcasted in the 1960s, while others belong to the more present days, having been released in the 2000s. 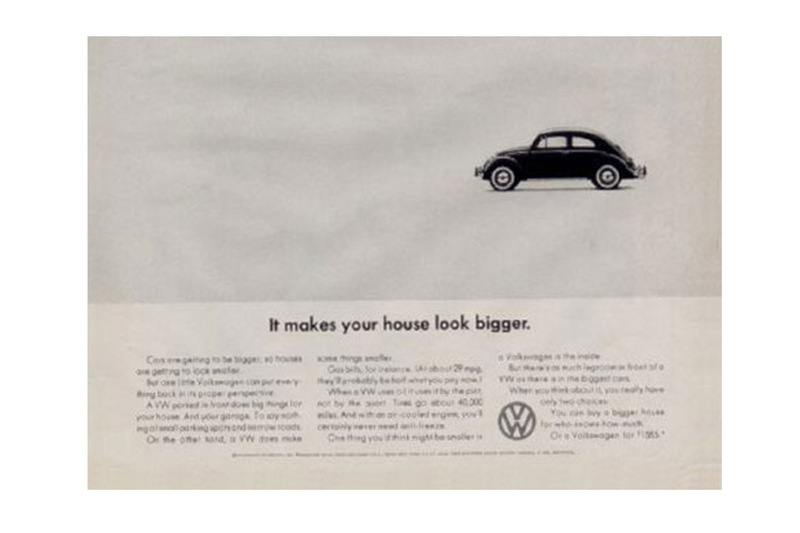 In the 60s, when it became one of the most acclaimed brands in the USA, Volkswagen focused its advertising efforts on the Beetle. Some of the commercials creatively underlined the small size of the vehicle, while others were vivid examples of self-irony. 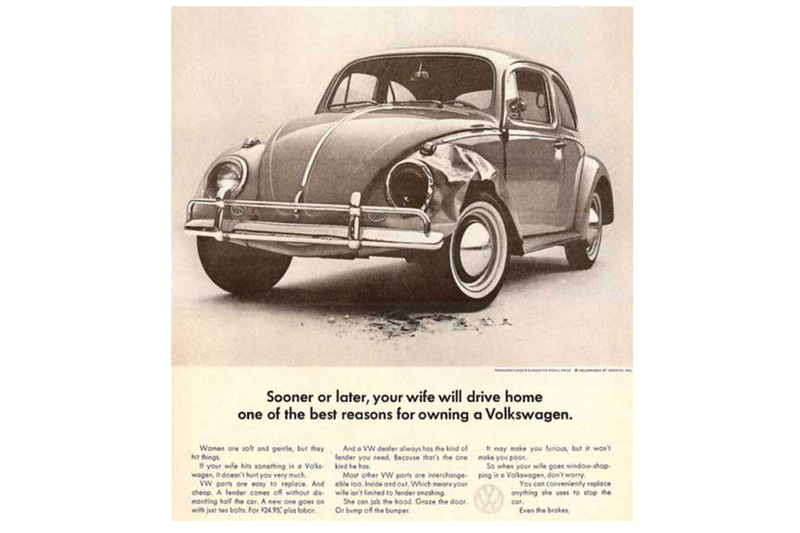 For instance, a 1964 ad featured a Beetle with an absent headlight and a crushed fender, which indicated to husbands that if their wives came home with their cars looking like that, at least they wouldn’t be sorry. The feeling of a complete lack of regret had to occur because of the price of the Volkswagen Beetle, which was more than acceptable in the 1960s. Yet another interesting Volkswagen ad from the 60s was the one based on the new Automatic Stick Shift feature of the Beetle. Charlie Chan starred in the video and it was composed as a thrilling short film. In spite of the cool publicity, the model failed to bring back any notable revenue to Volkswagen. 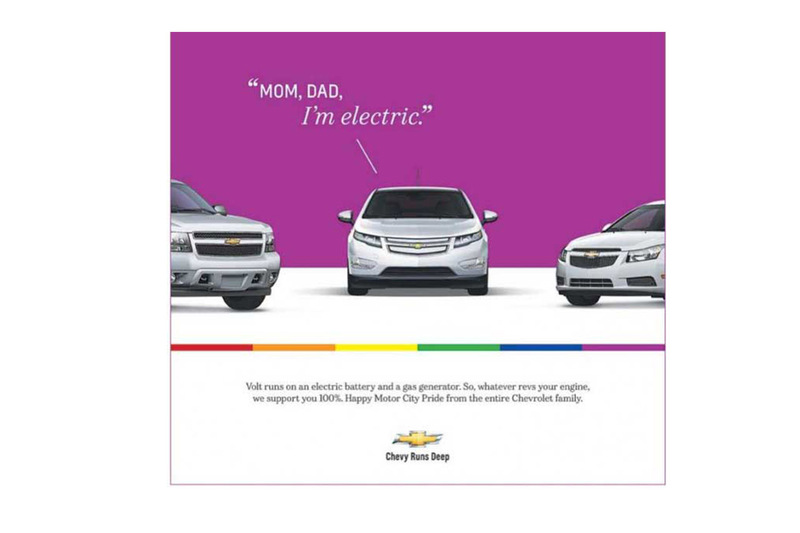 This 2012 commercial for Chevrolet Volt was an obvious reference to the LGBT community (“Mom, Dad, I’m electric.”). The image featured a Volt Hybrid letting its ‘parents’ know it changed its preference from gas to electric energy. Although some public voices stated that the ad was a bit too ‘risque’, Chevrolet clearly hinted towards a particular social category and surely won it over. Audi and BMW have had a long-lasting feud for as long as we can remember. 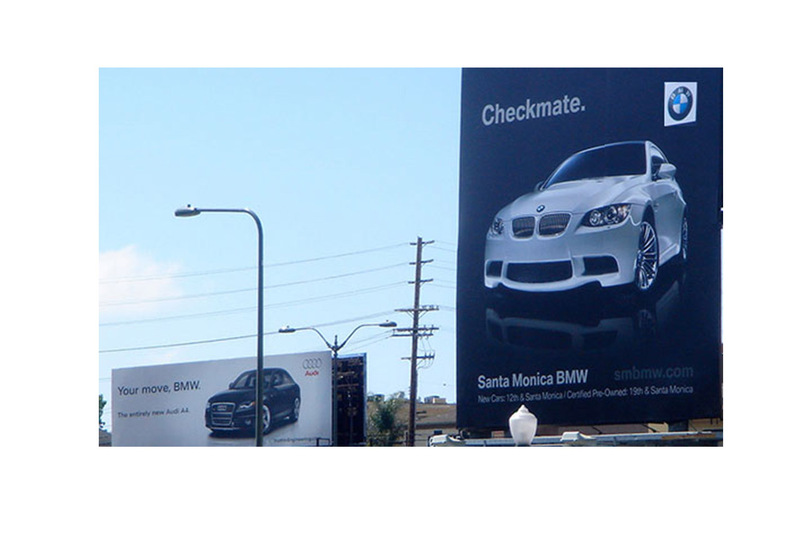 The billboard we’ve featured above is not only a declaration of war but also an intelligent response to the attacks BMW has been receiving from its competitor for years. But wait, it’s not only Audi that’s taken the fight to another level. 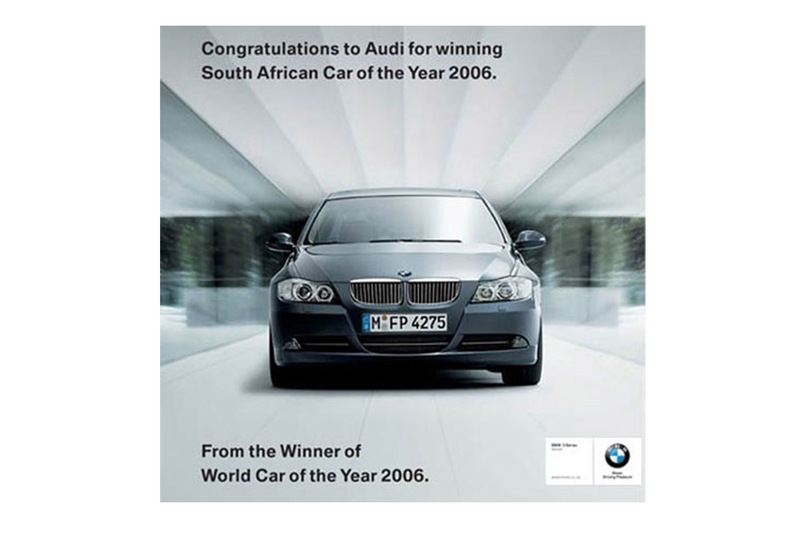 See how BMW has also specialised in using sarcasm as a weapon. This one’s a South African TV commercial for the Fiat Palio from 2000, featuring a driver and a cyclist. We all know it, sometimes cyclists have to hold on to something in order to keep on going. But this driver won’t allow it to happen to his car. As the slogan of Fiat suggests, those who have it, love it. And loving it too much interferes with other people’s lives. One of the greatest comic strips of our time, Peanuts, was featured for the first time in a series of TV ads produced by Ford. Charles Schulz, the creator and main designer of the cartoon, was inspired by his personal experiences, which he reshaped and turned into the two main characters, Charlie Brown and Lucy. The cartoon also featured the widely popular pet dog called Snoopy, which all the children from the 60s and the 70s fell in love with. One of the most well known Volkswagen adverts of all time. A great way to communicate a Volkswagens reliability with no verbal communication, and together with a great sense of humour. Video: Gti Performance... In A Diesel? The Volkswagen Id Could Cost Less Than The Tesla Model 3! Video: Watch A Classic Beetle Throw Some Badass Donuts! Video: Fiat 124 Abarth R-gt First Test Drive! Stunning Volkswagen Sports Car Concept Shows Us The Future! Video: The 'rat Bug'. A 1968 Vw Beetle That's As Crazy And Weird As You Can Get!